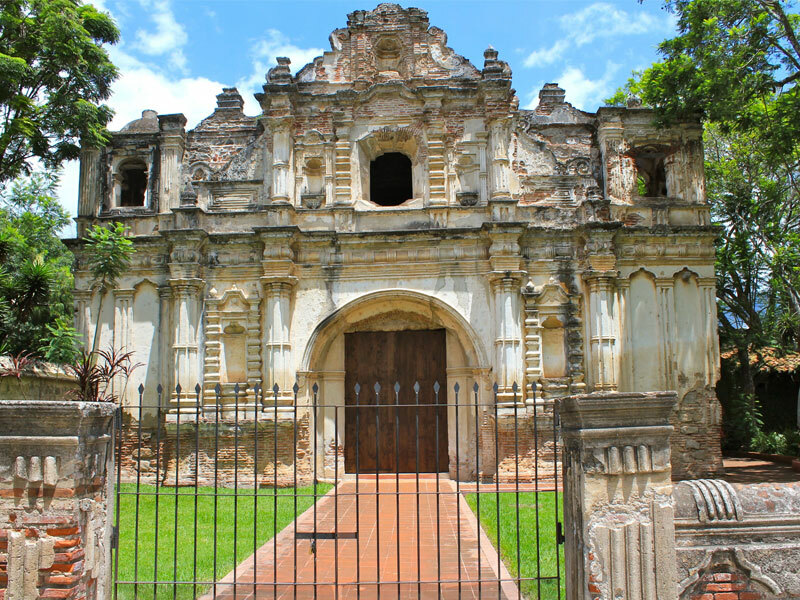 These church ruins are accessed via the Casa Santo Domingo Hotel and includes several museums. It by far the best preserved and presented ruin and museum in Antigua. 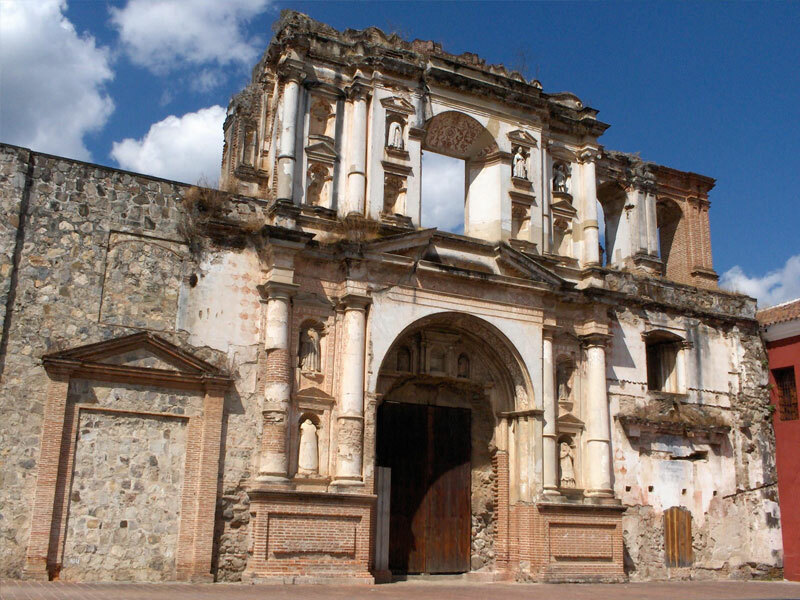 Las Capuchinas, abandoned after being destroyed in the earthquake of 1773, it’s restoration began in 1943 and is still under repair today. 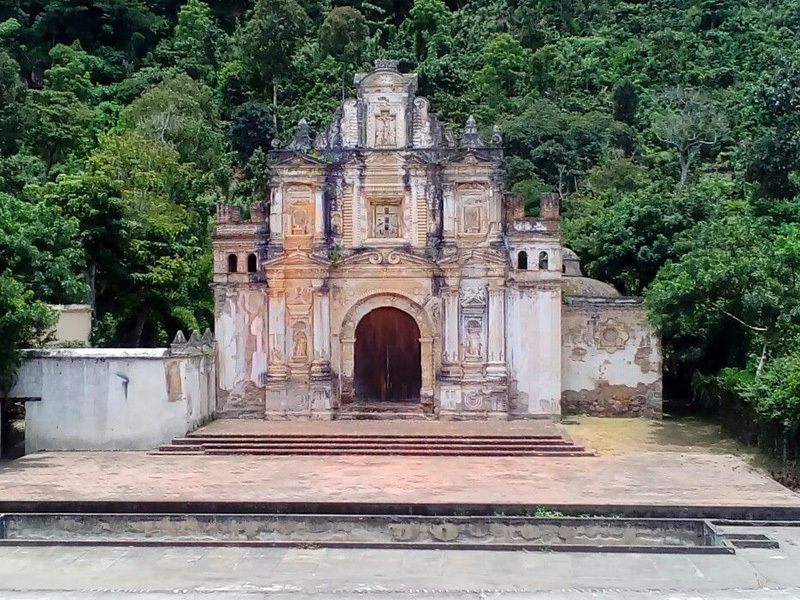 destroyed in the earthquake of 1773, it’s restoration began in 1943 and is still under repair today. 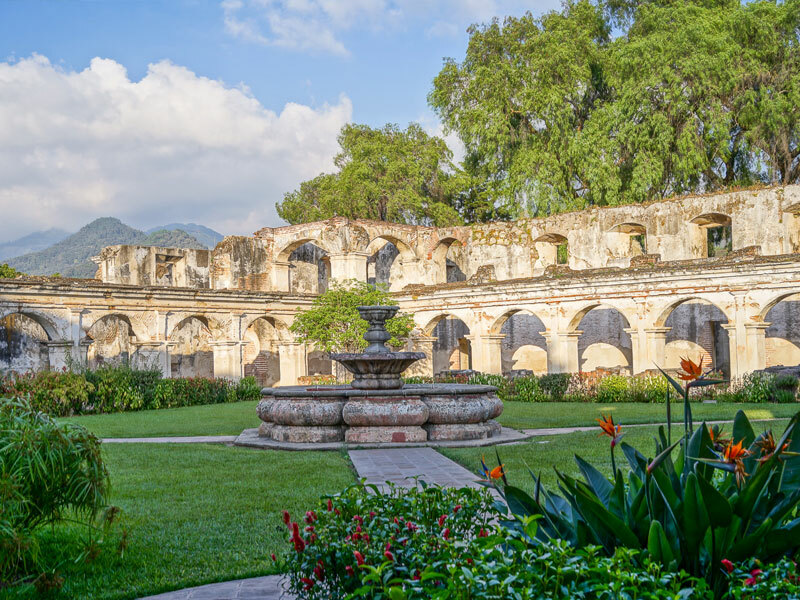 The convent’s foundation dates to 1726, there are beautiful fountains and courtyards flanked by sturdy stone pillars with arches and bougainvilleas flowers, that are the center of attention of many tourists and photographers – many consider it the most elegant of the convents of Antigua Guatemala. Capuchinas Fountain area: 250 people. Capuchinas Church area: 200 people. Capuchinas Garden area: 100 people. Capuchinas Circular Nuns Cells: 50 people. It is considered the oldest. 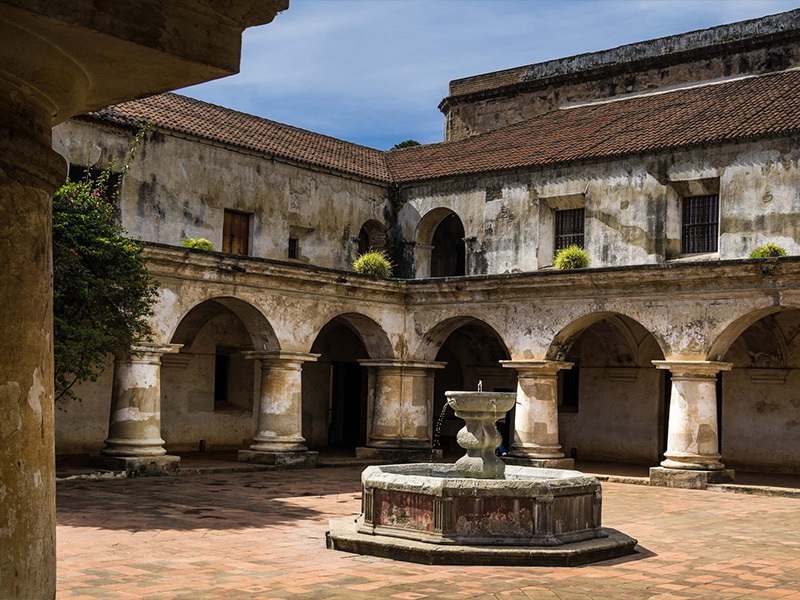 Its origins date back to 1664, when some Dominican religious requested permission to build a new convent building in the neighborhood of Santa Cruz. 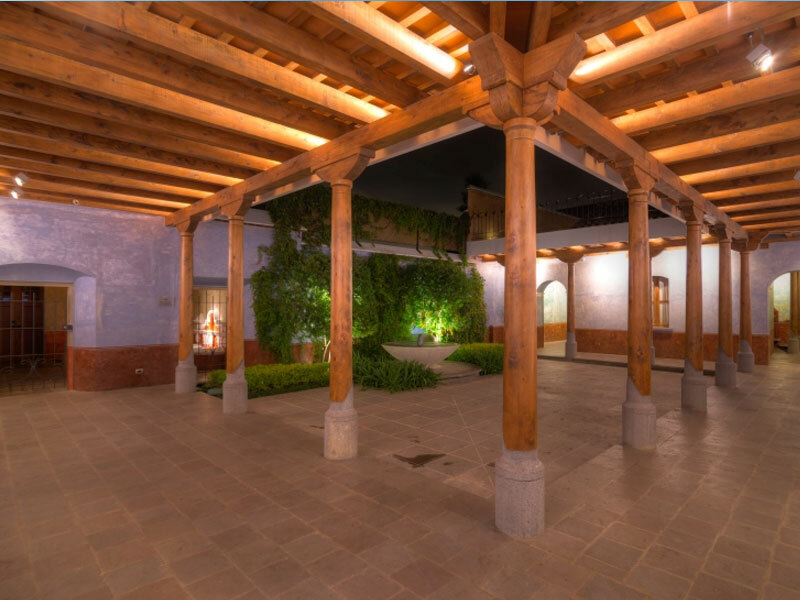 It was located on 5th Avenue South and 8th Street Poniente. 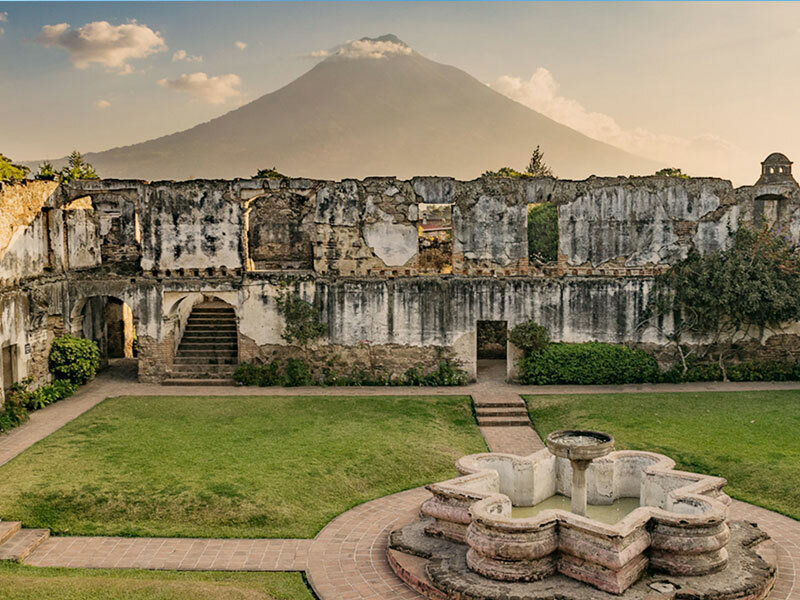 Its ruins have been surrounded by a privileged silence and peace, since this part of the city is not as busy as other sectors of La Antigua Guatemala. Santa Clara is located in the 2nd Avenue in the South, #27, it is open from 9 am to 5 pm, every day of the week. It was founded in 1700 and it construction began in 1703, but was destroyed in 1773 by an earthquake. 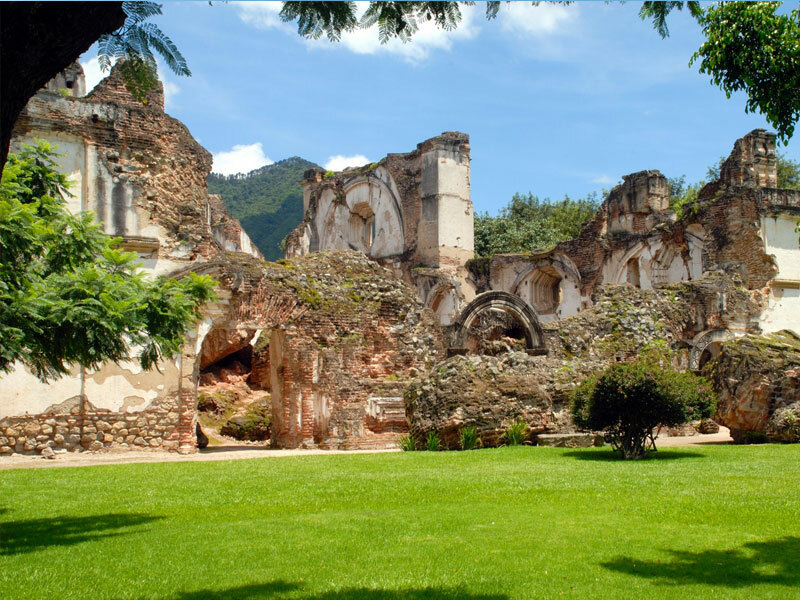 Its ruins are very pleasant for a stroll and you can also enjoy La Unión Park, located in front of the church’s main entrance. It was founded around 1680 and attended by the Order of the Discalced Carmelites. The history of its origin dates back to 1695, when a Recollect friar requested the license to found a convent of missionary parents. He was one of two friars who had arrived in Guatemala in 1685. In 1687, two years later, four more missionaries arrived. All were housed in El Calvario waiting for the approval they so desired. 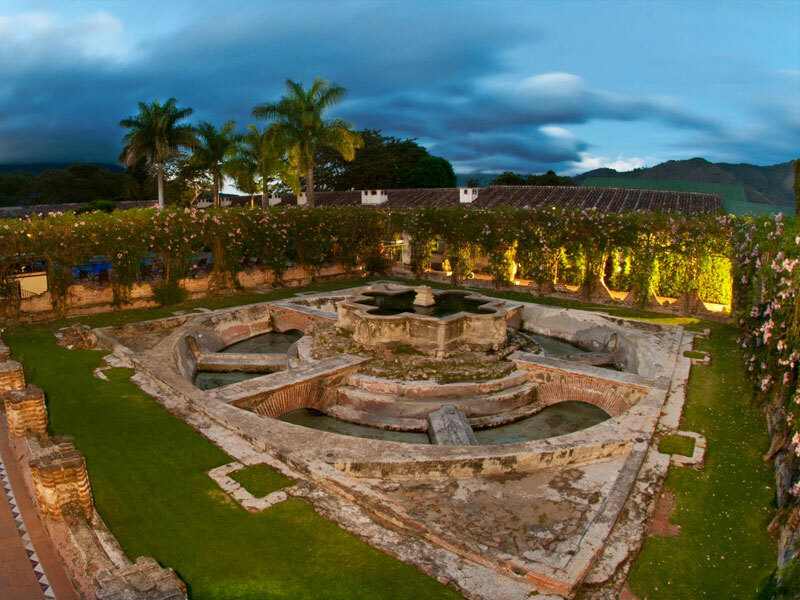 The hospital lasted the time of life of Santiago de los Caballeros de Guatemala and was closed by order of Captain General Don Martin de Mayorga in June 1776, three years after the city was transferred to the Asunción Valley.